So, as you all can probably tell I, Connie, have been gone for a few weeks. I went on vacation to see my boyfriend’s family, but came home with a Fiance! That’s right folks, he proposed!!!! I was totally surprised and caught off guard, as this was the first time that I was meeting his family during our 3 year relationship, due to never being able to afford to jump on the plane to go visit them. Finally, though we saved up enough money and went to Milwaukee, WI. 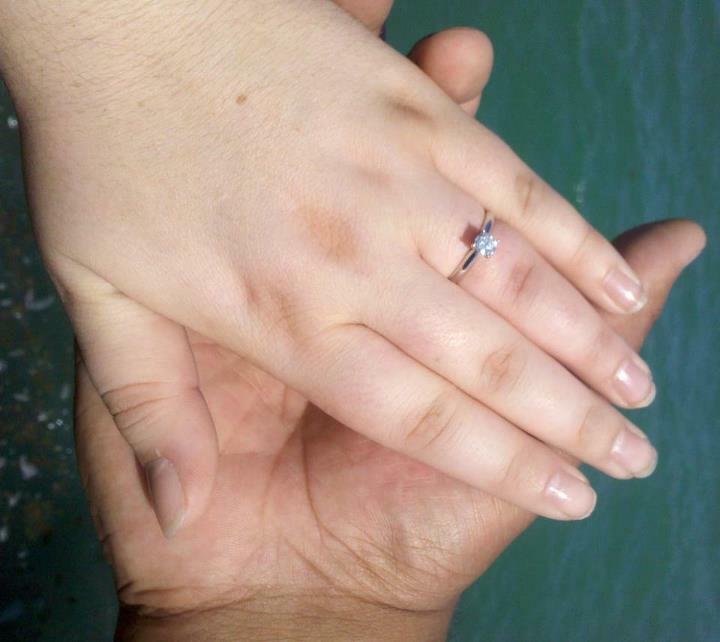 He proposed to me right on the lake front in the beautiful Milwaukee Art Museum. There are huge bay windows in the contemporary building that look out to the lake, with an ornate glass and white marble ceiling above you. After a few family pictures, it was our turn to take a picture of us two. His family took a few shots and then he pulled me back and said he wanted one more picture. When I turned around, he was on one knee! He asked me to marry him and I was so surprised I said, “Are you serious?” At least 6 times. I had been waiting for this for a long time, and couldn’t believe it was finally here. So, I am back now and will hopefully get a few reviews and stuff up soon. I’ve been a little behind on my reading due to looking up wedding stuff, but I am trying to get everything back on track so I can do it all.